Heroes are not only found on the battlefield but in everyday life as well. 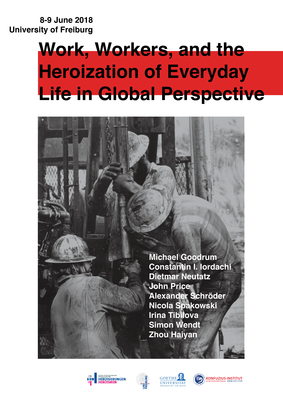 During the twentieth century, the focus shifted to the workplace in particular: Socialist societies proclaimed heroes of labour, but workers in capitalist societies were honoured for heroic deeds as well. This workshop addresses these processes in China, the Soviet Union, Romania, the USA and Great Britain.